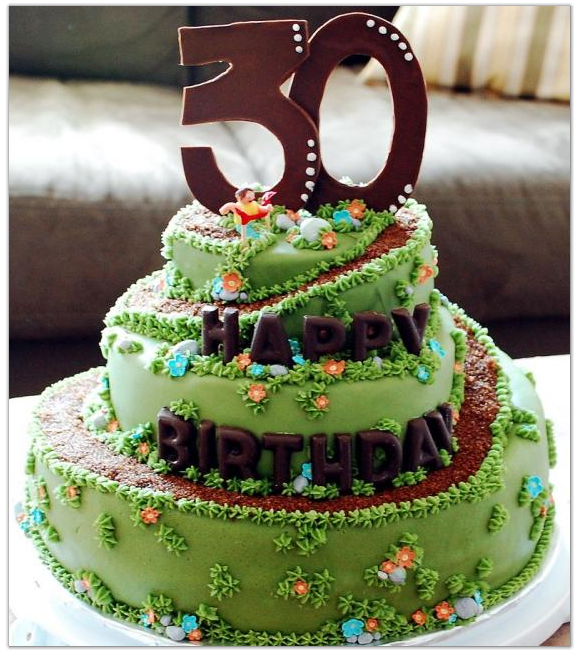 I hope you have been training since you read my 30th birthday announcement post here. Need a refresher? Basically I am planning to pack 30 hours of adventure into a 3-day weekend: 9hr bike ride, 12hr run, 9hr bike ride. Wham, bam, thank you ma'am, I'm turning 30! More details are coming to fruition about this awesome weekend, and I want to share them with you so you can decide how you want to participate! First, on a suggestion from my college roommate Catherine, I am using this event to raise money for Team Noah Foundation. I just joined this incredible mountain bike team at the end of 2013, and I feel like I've found my home. The people associated with the team, from the riders to their families to our sponsors, are exactly the kind of people I want to be around. They inspire me to dig deep, push my limits, and do great things. 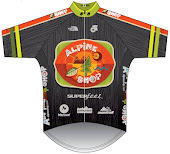 At a recent training ride we put our heads together with our main sponsor, Dogfish Apparel, and came up with this grand scheme to use my birthday plans to raise some money. 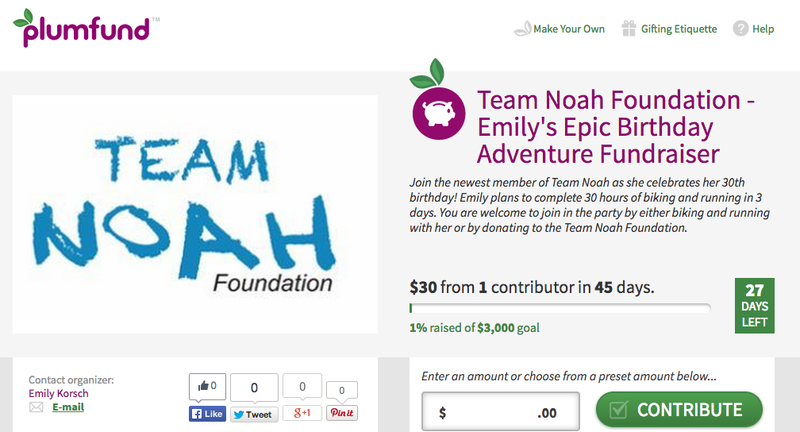 You can donate to Team Noah at any time, but I'm using my birthday to do a focused fundraiser! Here's how to do it: go to my dedicated Emily's Epic Birthday Adventure fundraising page on plumfund.com. Make a donation. You can use PayPal or credit cards online, or you can write a check to Noah Goscinski Memorial Fund and give it to me in person (and I will record it on plumfund). In the spirit of turning-thirty-ness, I suggest you contribute $30.00, but really any amount is seriously appreciated. My goal, also in the spirit of turning-thirty-ness, is $3,000!!! We can do it! The fundraiser is set to end 1 week after the Epic Birthday Adventure on 7-Feb-2013 so hop to it! Doesn't that Team Noah gear look amazing? I wear mine all the time! Thanks Dogfish! As a special incentive, Dogfish Apparel is creating a custom Emily's Epic Birthday Adventure t-shirt for every contribution, no matter how large or small. These shirts will be distributed after the fundraiser is over so I can get everyone's correct sizes. But wait there's more! if you participate in all three events, you will receive a custom Dogfish hoodie/fleece to celebrate your sense of adventure! If you've seen the stuff that Dogfish creates, you know this is going to be awesome!! If you want to be a part of my birthday celebration, donating to Team Noah Foundation is the first thing you should think of. It is the easiest way to get involved and doesn't require any training! The foundation supports children and families dealing with Congenital Heart Defects (CHD). And for those of you who want to get outside a little, here are more details about my 30 hours of biking and running. We're going to kick off this party with 9 hours of road biking through West St. Louis County and Jefferson County. I've divided the ride up into two parts so if you don't have time to be there all day, you can choose your own adventure! I will be riding at an all-day pace - about 14 mph. In order to finish everything up before the sun sets, we need to stay on the move so stopping is discouraged except for the refill stops at miles 27.5, 67, and 95.5, and mechanicals as needed. The stop at mile 67 (TJ Wing's) will be a little longer so everyone can eat some delicious hot-n-honey wings, my favorite in St. Louis!! 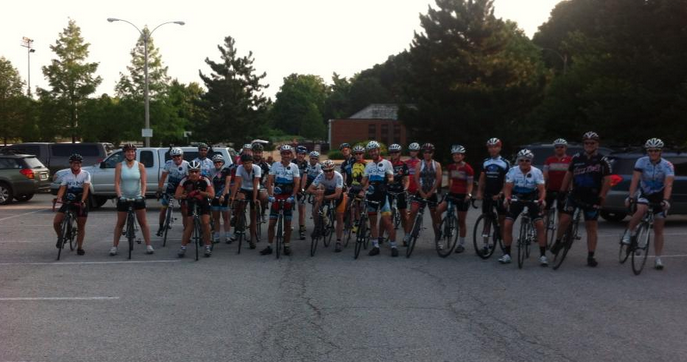 Team Noah Memorial Ride, July 2013. Please let me know if you're coming to ride and if you're in for the whole enchilada or just some parts of it. If you are just doing certain sections, there are plenty of ways to get yourself between different points on the route so fire up ye olde Google Maps and make yourself a plan. THIS RIDE IS UNSUPPORTED!!! Bring everything you need and have a plan for self-extraction if you run into trouble. If the weather is horrible, this WILL be a 9-hr trainer ride! The adventure continues with 12 hours of trail running, in the dark! This part is largely organized by Metro Tri Club. Go check out their new race called Aerie's February Freeze Tall Timber Trail Run! I'm already entered and you should be too! There are solo and team divisions, pick your poison! 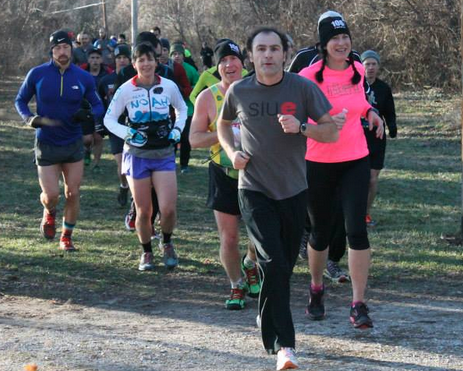 The race will be held on a 6-mile loop of double/singletrack at Aerie's Winery in Grafton, IL. The goal is to complete as many loops as possible in 12 hours. The beauty of this race is you can set your own personal challenge - it might be 1 loop, or 3, or 10! Go for it! 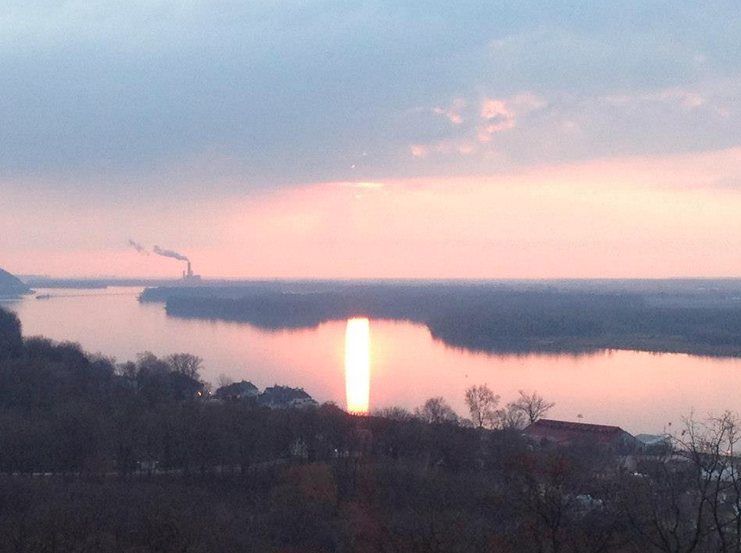 The view from Aerie's Winery. 9:00AM the next day aka Saturday 1-February, race ends. My parents will be visiting/crewing and there may be cake!! The final chapter of Emily's Epic Birthday Adventure will be 9 hours of mountain biking. I have a venue in mind but we're working out some details. And being respectful of the weather forecast and trail conditions. SO! Stay tuned. The start and finish will be within 1 hour of Forest Park. Again, plan for an all-day pace, which will be slower than 14 mph. 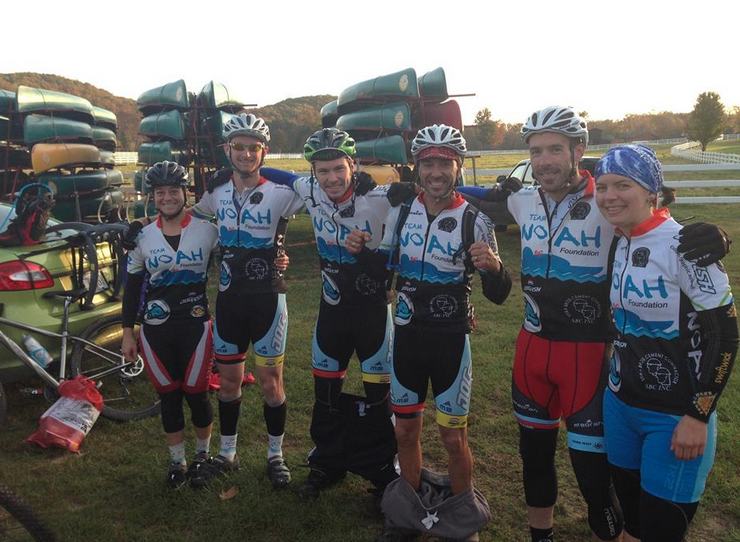 Team Noah representin' at the 2013 BT Epic! Pants optional. 7:00AM mtb ride starts, location TBD. Whoop! I am so excited/scared for this! But no matter what it's going to be awesome and provide tons of stories. So leave a comment if you're planning on joining for some/all of the fun! And don't forget to donate to TEAM NOAH FOUNDATION!